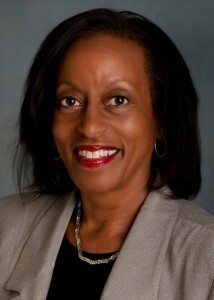 Preferential procurement programs are providing minority entrepreneurs an opportunity to leverage what might be seen as a hindrance — the historical lack of access due to their race or ethnicity — into a business advantage, according to a new study by California State University, Northridge management professor Lois Shelton. Shelton, a professor in CSUN’s David Nazarian College of Business and Economics, and a colleague, Maria Minniti, a management professor at Syracuse University, are examining the choices minority business owners make that contribute to their success. The pair found that the doors opened by preferential procurement programs — whether public or private — provided an opportunity for many African-American and Latino entrepreneurs to get a foothold in profitable markets not traditionally accessible to them. That access allowed them to prove themselves and their products and expand their market base, which in turn led to business success. Shelton and Minniti’s study, “Enhancing product market access: Minority entrepreneurship, status leveraging and preferential procurement programs,” appeared in the most recent edition of the journal Small Business Economics. Such programs give special consideration to minorities or other socially or economically disadvantaged groups in awarding contracts. Government preferential procurement programs have been around since the late 1960s, when the U.S. Small Business Association was authorized to use the procurement process to assist socially or economically disadvantaged businesses. Similar programs were created in the private sector in the 1970s. Many were subjected to legal and political challenges, often leaving those who administered the programs and the intended beneficiaries unsure of the process, and unable to assess their effectiveness. “But in the years since they were created, these programs have evolved and some are now a viable means for minority entrepreneurs to gain access to previously unavailable market — and to serve large government and commercial clients,” Shelton said. Shelton and Minniti examined how preferential procurement programs impacted the market access of minority entrepreneurs and how this access differed for high-growth and low-growth entrepreneurs. They found that access to these programs helped minority entrepreneurs learn about business opportunities and connections they might not otherwise have found. They also prompted governmental agencies and corporations to stretch outside their “comfort zones” and offer opportunities to entrepreneurs they might not otherwise have considered. In turn, Shelton said, the programs assure minority entrepreneurs that their race and ethnic backgrounds will not be viewed negatively. “It allows them to leverage what might be seen as a negative – their race and ethnic backgrounds — into a positive,” she said. Shelton pointed out that businesses today are competing on a world stage. “We need to have the brain power, capacity and skills of everybody in the country, not just a few people, if we want to be competitive, and not just barely competitive,” she said. “If we want our economy to grow, if we want the prestige of the country to grow, and if we want to increase the standard of living, then everybody in the boat needs to be rowing. We need to erase the stigma that somehow these programs are unfair. “What these programs do is open the doors to opportunity for everyone involved, and give everyone a stake in the community and its success,” Shelton said.